BANGKOK, Thailand - Land and water productivity in the polders of coastal Bangladesh have tremendous potential to be improved, profitable, and resilient to problems brought about by climate change. This was IRRI collaborative scientist Manoranjan Mondal's take-off point during his symposium presentation at the 4th International Rice Congress, or IRC2014 on 31 October 2014. More than 130 polders in the country were constructed in the 1950s-60s to prevent tidal flooding and saline water intrusion. Despite enormous investment, land productivity remains low and water resources underutilized. To unlock the productivity potential in the polders, Mondal argued for investment in improved water management, with special emphasis on drainage and infrastructure. He also discussed the need to organize community-based resource management and link water users with the production system. He said that improving drainage in polders will increase fresh water availability during the dry season. Moreover, drainage must also be able to avoid prolonged flooding during the aman crop, and allow salt to leach from the shrimp farm prior to transplanting the aman crop. Mondal also reported that trials in farmers’ fields from July 2011 to August 2014 under the CGIAR Challenge Program on Water and Food suggest that, in coastal areas with low and medium salinity, land productivity can be increased two- to three-fold by adopting suitable high-yielding rice and rabi crops, and improved water management practices. In areas where water salinity is too high for rice production during the dry season, productivity of brackish water shrimp farming can increase by at least two-fold by replacing shrimp monoculture with more resilient shrimp-fish polyculture grown in rotation with salt-tolerant rice, plus fish, during the rainy season. The polders of the coastal zone of Bangladesh are home to the world’s poorest, 80% of whom live on US$1.25/day or less. They depend mainly on agriculture and aquaculture for their livelihoods. These are some of the marginal areas that were left behind during the Green Revolution of the 1960s-70s. These coastal areas are prone to flooding and salinity, lack access to fresh water, and are vulnerable to sea-level rise. Productivity in these areas is so low that farmers usually grow one crop per year using low-yielding traditional rice varieties and most of such land areas remain fallow during the dry season. 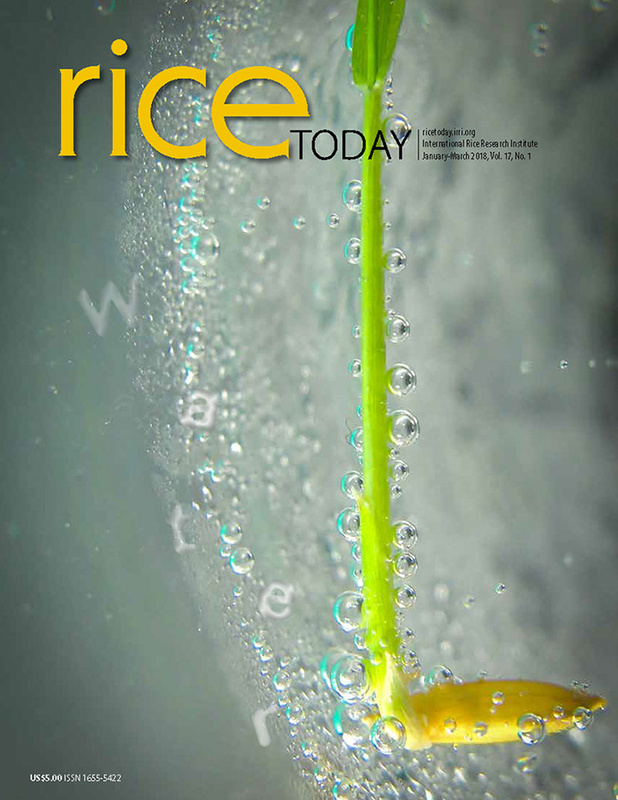 Around 1,500 participants from 69 countries are attending the 4th International Rice Congress, or IRC2014, at the Bangkok International Trade & Exhibition Centre (BITEC). IRC2014 is being held under the patronage of the Royal Government of Thailand, specifically the Ministry of Agriculture and Cooperatives, and is touted as the “Olympics of rice science,” being the largest gathering of rice science and industry held every four years.